A dog has surprised many after doing the one of the most unexpected things ever seen in Brisbane. 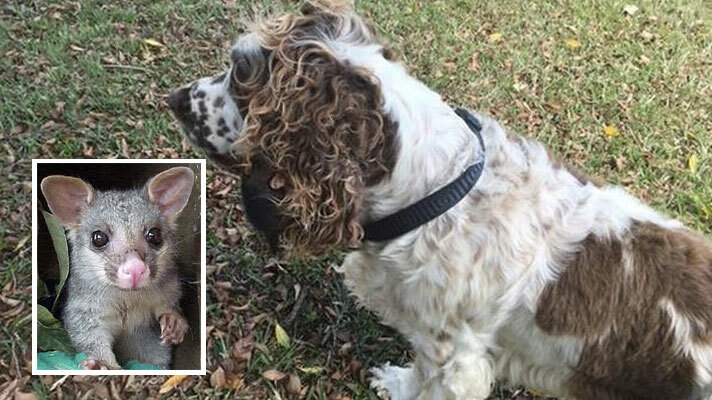 He has made an unlikely alliance with a baby possum after rescuing it from predator attack in a recreational reserve. The dog, Chilli¸ has formed an unlikely friendship with a baby possum that he rescued from being attacked by two crows. The playful springer spaniel was taking a walk with his owner Trevor Weeks at the Colmslie Recreational Reserve at around 6.30 in the morning when a crows’ noise attracted them. Curious about what was happening, the two went ahead to investigate only to find a baby possum fighting for dear life. “Chilli took off towards a large gum tree, and that’s when I then spotted two crows,” Mr Weeks said. “…one of the crows was attacking a small object from the front and one from the rear” he added. To his amazement, his dog swung into action immediately to rescue the little object. He could not believe that it was a young possum. 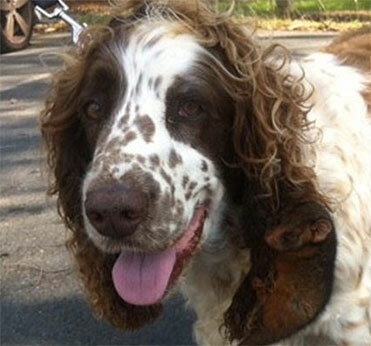 “Chilli, being a springer spaniel did the unexpected. He sprung into action, the crows flew off. The little object was a very young baby possum.” Mr Week said. But the events that unfolded later are what have got everyone talking. Immediately after the crows flew off, the little possum must have taken a liking to its rescuer. It crawled into Chilli’s long ears and fell fast asleep immediately. “It must have been exhausted”. Mr Week went back into the car with his dog and their new friend still in chilli’s ear. But Chilli was splendid and gave the new friend all the comfort it needed. He sat very quietly in the car with the baby possum still asleep in his ear. “He never moved much maybe not to wake up the little friend who was fast asleep by the time I was driving to the vet,” he said. Eventually, he was able to detach the young possum and take it to the vet, where it was given all clear. He was told that the marsupial would go to a carer until he’s old enough to be set free. Although it was not said for how long this would be, the fact remains that their little one had been rescued and was in safe hands. “Chilli was quite relaxed with the little one in his ear.” Mr Weeks said. But this was not the first time that his dog has done something extraordinary. According to the Mr Weeks, the dog has also rescued birds that have fallen out of their nests. This’s something that has never been seen before in Brisbane. Chilli seems to be at the right place and at the right time as a rescuer. “Many people including council workers said they had never seen anything like this before,” Mr Weeks said.